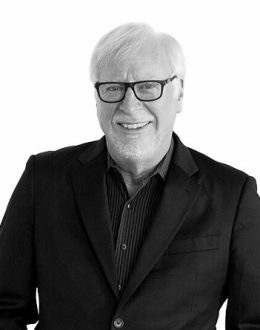 Marty Neumeier is an author, designer, and business adviser whose mission is to bring the principles and processes of creativity to industry. In 1996 he founded the „seminal but now-defunct design magazine Critique”, a quarterly publication about design thinking. In 2002, Neumeier started Neutron, a San Francisco consulting firm that specialized in internal branding. There he wrote three books on branding: The Brand Gap, Zag, and The Designful Company. He also served on the Board of Directors of AIGA, known until 2005 as the American Institute of Graphic Arts, developing the organization’s first mission statement. He was president of AIGA Center for Brand Experience, where he edited and published The Dictionary of Brand. In 2009, Neutron merged with Liquid Agency, which named Neumeier the firm’s Director of Transformation. At Liquid he wrote two books on business creativity, Metaskills and The 46 Rules of Genius, as well as an updated version of The Dictionary of Brand for Google.